A unique show with incredible dunks and many three pointers was offered by MILKO and Giannis and Thanasis Antetokounmpo at the 3 Antetokounbros Streetball Events Energized by MILKO, held in Heraklion (Crete), Thessaloniki and Athens. Each of the 3 basketball games was a rewarding experience that will remain unforgettable both for children and grown-ups. Unique contests and prizes from MILKO, cheerleaders and even dancing were of course part of the games, which impressed the thousands of spectators who invaded the basketball courts. The very successful events began in Heraklion (Crete) on April 23rd, continued in the crowded Nick Galis Hall in Thessaloniki on May 22nd and concluded on May 29th at Grava’s Antonis Tritsis Sports Center in Athens, bringing together more than 18,000 spectators. 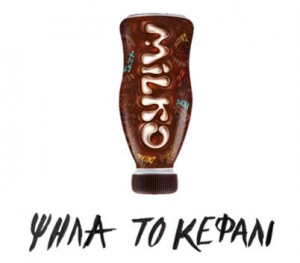 MILKO’s message “BELIEVE IT” identifies with the path of Giannis Antetokounmpo and meeting up with him was intended to encourage young people to follow their dream with their chin up, as did Giannis himself!